At The Speaker Factory, we have an excellent reputation for quality loudspeaker services not offered by most major TV and radio shops. We specialize in high-end audio speaker services from start to finish, including repairs, rebuilding, and upgrades. Replacing Woofers, Mid-Ranges & Tweeters, etc. 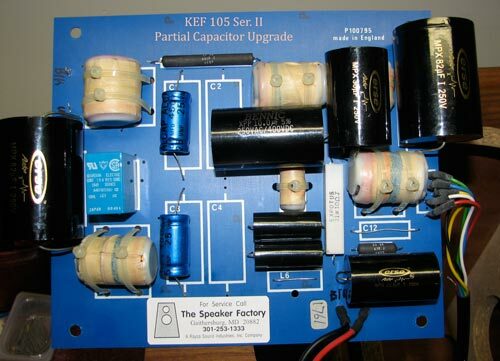 Let The Speaker Factory upgrade or change out parts for a greater sonic experience. We upgrade internal bracing, crossovers and speaker drivers in house by reverse engineering the product to achieve the best value and performance. You can also “Save-A-Tree” by having The Speaker Factory upgrade your current speaker systems to a higher performance level. 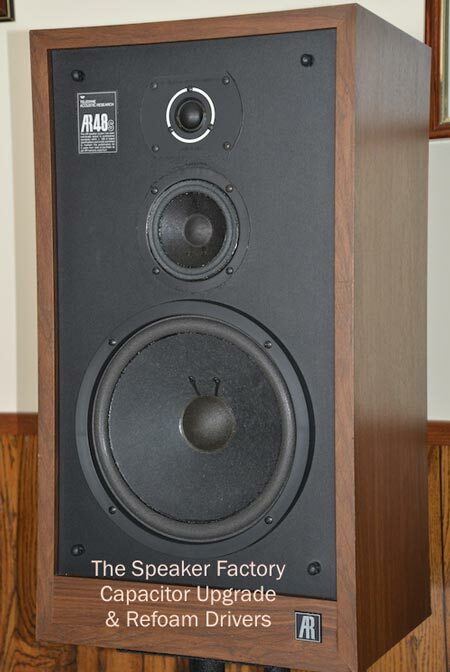 When you realize that the cabinet is usually the most expensive single component in most speaker systems, you will most likely find it more economical and better sounding to have a T-S-F (The Speaker Factory) Upgrade than purchasing a new pair of speakers. Completely rebuild speakers from any brand with our reinvention process! We can rebuild any speaker that uses a dynamic woofer from the frame up, salvaging parts that make sense and using new improved parts for the rest of the upgrade. It makes a lot of sense to rebuild you existing speakers. Many of you originally spent numerous trips to the local Hi-Fi shop looking and listening to a lot of different speakers. Possibly many months transpired before you finally made your choice. You made your purchase and have lived happily ever after for many decades. They have fit physically and emotionally into your life and you have enjoyed every minute. Now it may need some work, possibly a re-foam or to replace a driver. This may just be the best time to perform some desired improvements. I’m sure that you are serious about your music or you wouldn’t have spent so much time listening to those dozens of speakers 35, maybe even 50 years ago. Since the cabinet is likely the most expensive single component of your speaker it is logical to make changes to that cabinet in order to make it sound better. Upgrading the original inexpensive harsh sounding electrolytic capacitors to polypropylene film type will produce a silkier more precise sounding musical experience. Improved drivers and the installation of internal braces can also make dramatic sonic improvements. Just about all, popular priced speaker systems have no bracing, not because it doesn’t matter. The reason, they cost good money, and most people buying the speaker have no clue or idea about why it is important and therefore desirable to quiet down the undesirable panel vibrations (noise). Why would you want to listen to music with the cabinet making more noise than the mid-range and tweeter drivers? It really muddies the waters, so to speak. Let The Speaker Factory put a smile on your face and a sonic bug in your ear. It will likely perform better and cost less than the purchase of a new pair of speakers. Your loudspeakers will be made-to-order by The Speaker Factory! We consult with you to determine your performance level goals, and then design speakers or redesign your existing cabinets to ensure structural strength and improved performance. Time frames may vary according to the project, as we do our own woodworking for small-to-large speakers systems. While you are having your speaker systems repaired or upgraded, it’s a very good time to consider replacing your old receiver with a new preamp and power amplifier. Your newly serviced speakers will sound much better and you will find greater listening enjoyment. 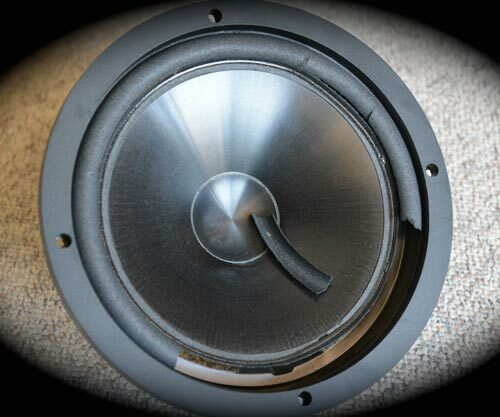 Check out our Parasound™ and Halo™ by Parasound™ audio components! [In-store sales only.] Their sonic performance and value for money is absolutely fantastic. If you have any of the speaker system brands listed below there is a very good chance we have made them sound better with a T-S-F Upgrade.